Nocce Twin Size Headboard features the collection's signature design combining a modern and rustic look and can be paired with any twin size bed from Nexera. Nocce Collection is distinguished by its timeless contemporary lines and warm Truffle finish. It offers a full selection of bedroom furniture with 3 sizes of platform bed - Twin, Full and Queen. With its ship wheel decal and its trendy finish, this piece from the Aviron collection has a truly original nautical style! It's sure to be the centerpiece of your kid's room, and its handy storage spaces make it really useful. All hands on deck! This item comes with a 5- year quality guarantee. Can be combined with items of this collection. As time goes by, children's interests change as their needs change. This bookcase headboard from the Cookie collection allows the continuous evolution of a room, while adapting to each child's age and needs. This item comes with a 5- year quality guarantee. Can be combined with items of this collection. You probably agree with us that kids also have a right to a modern-looking room! This Fynn collection twin headboard with storage gives you free rein when choosing accent colors. Go with a funky, uncluttered, or eclectic dicor... it's completely up to you! This item comes with a 5- year quality guarantee. Can be combined with items of this collection. Of course you'd like to spoil your little treasure when choosing a look for his or her room! It's totally natural, since this is the place where your youngster will sleep, read, listen to music, and invite friends over. You can use this bookcase headboard to create a nice, peaceful environment with a simple yet lively dicor. 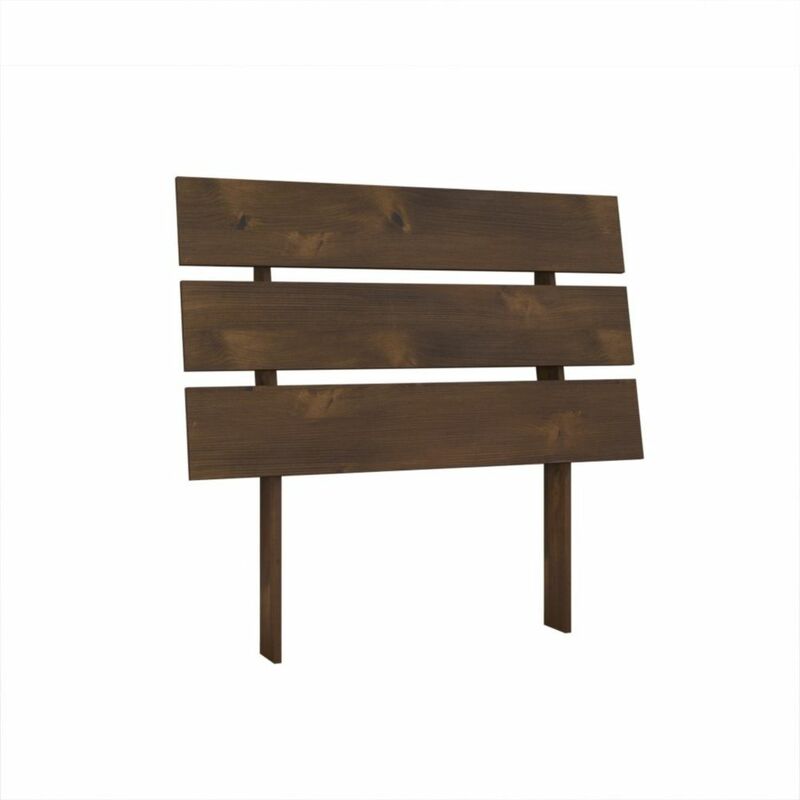 Nocce Twin Size Headboard 401238 from , Truffle Nocce Twin Size Headboard features the collection's signature design combining a modern and rustic look and can be paired with any twin size bed from Nexera. Nocce Collection is distinguished by its timeless contemporary lines and warm Truffle finish. It offers a full selection of bedroom furniture with 3 sizes of platform bed - Twin, Full and Queen.